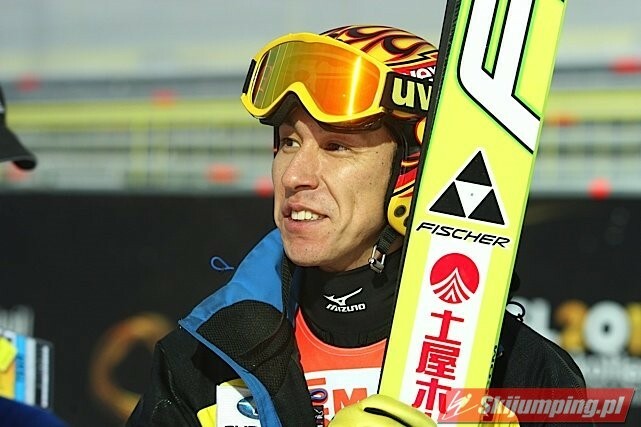 At the age of 46, Noriaki Kasai is still making his name in the world of Ski Jumping. He was born on June 6, 1972, in Shimokawa, Hokkaido Japan. It was then that the Olympic Winter Games were being held near his hometown in the city of Sapporo. Remarkably, He is known to be the oldest athlete to achieve a medal in the Olympics. He mentioned in one of his interviews that the reason he is still competing is that he has not won a single gold medal in the Olympics yet. He has been insisting to continue his career up until the 2026 Olympics that will be held in his home, Japan. In 2016, he was honored for his record-breaking 500 ski jump in the span of his career, even remarking that he would make it to 600 because six is his favorite number. Among his fans, he is known to be as called as the legend or Kamikaze Kasai. He stands at 1.75 meters and weighs 62 kilograms. He tried track and field and excelled in 10,000 meters. His interest in the sport of Ski Jumping started when he was only 9 years of age. He graduated from Tokai University High School. When he was young, his family was very poor and his mother raised him, together with his two sisters, alone without a father. As of today, he is residing in Sapporo Japan along with his wife. When he is not in training he takes a vacation annually, mostly in Hawaii. He takes his stress off by going fishing and takes his time with his interest in cars. He is fond of playing golf, a wine enthusiast and did a little bit of Karate. According to him, he maintains his good health by running at least 30 to 40 minutes every day regardless of the weather condition. Every interview, his sister would always recall their childhood life and how it has been difficult due to poverty. 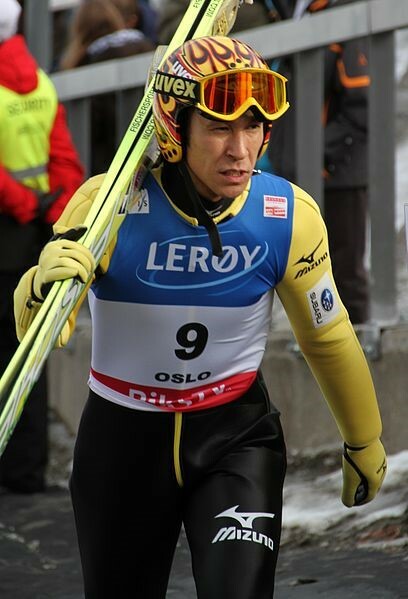 It has been said that the perseverance of the phenomenal ski jumper, Noriaki Kasai, was due to his struggles while growing up. His mother, Sachiko, was the sole breadwinner who worked hard to raise her kids. In July 1996, it has been reported that Sachiko suffered from severe burns due to fire and passed away in May of the following year. He has two sisters namely Kumiko Maekawa and Noriko Hamaya. Kumiko, who is five years younger than him, was diagnosed with a rare blood disease called Aplastic Anemia since she was 16 years old, and has been in and out of the hospital for treatment ever since. Then, at the young age of 38, her sister succumbed to her disease. His family has always been proud of his achievements and he, in return, dedicates all his wins to his family. On February 22, 2014, he married his 29-year-old fiancée, Reina Harima after his return from winning a couple of medals from Sochi Winter Olympic Games. His dream was to win a gold medal for his future children in time for the Pyeongchang Olympics. Then, in January 2016, he finally became a father after his wife gave birth to their child, Rino. This legendary ski jumper belongs to the Tsuchiya Home Ski Team and was able to hit his personal best at 240 m (789 ft.) in Norway. He jumpstarted his career when he participated in the World cup at the age of 16 on December 17, 1988, that was held in Sapporo. Then, in December of the same year, he debuted his talent with the sport on the FIS World Cup that was in Thunder Bay, Canada. But, his first major win came at the 1992 FIS Ski Flying World competition in Czechoslovakia. It was then that the world noticed his unique style in jumping, he was eventually called Kamikaze for his V-shaped form that is seen through his shots while in the air. His first time to join Olympics was in 1992, where he finished 31st place in the normal hills and 26th place in the large hills. While the Japan Team event concluded with them in the 4th place. 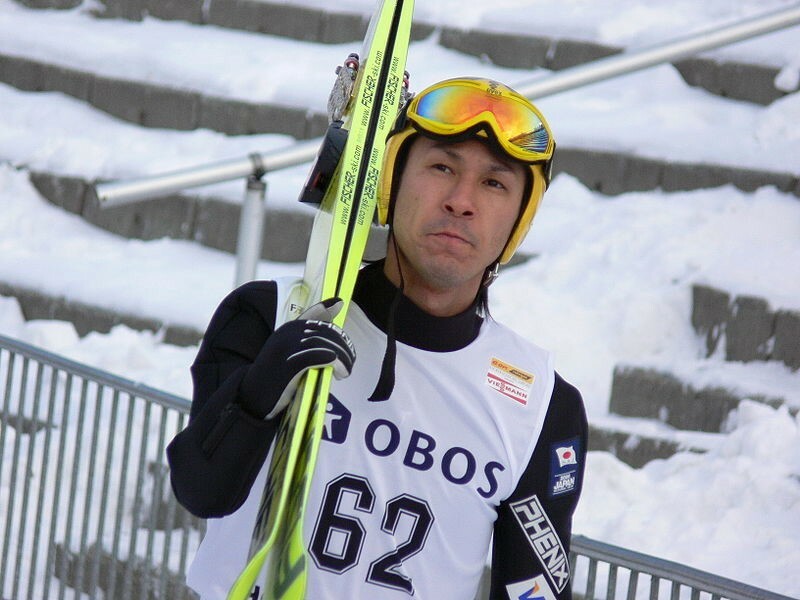 In the 1998 Olympics in Nagano, Japan he participated on the normal hill event where he placed 7th in the ranking. In the year 1994, he was able to achieve his first Olympic win in Lillehammer by being part of the Japan National Team that competed and had won the Silver medal, finally, he was able to stand in the podium with his teammates, Jinya Nishikata, Takanobu Okabe and Masahiko Harada. However, he was only fifth in the individual jump category. Unfortunately, he has a serious fall during his training that caused injury to his broken left shoulder. Thus, he had rested for the entire season. Furthermore in 1999 during the Nordic Tournament, he finished the competition with flying colors by winning a total of seven medals: two silvers for the team category and 5 bronzes for the individual hill jump. Meanwhile, that same year he also gained a win in the Holmenkollen Ski Festival. His competition in the 2002 Salt Lake Olympics was probably his worst in his ski jumping career. He only got the 49th place on the normal and the 41st place on the large hill. In addition to this, Kasai ended up at the 20th spot on the normal hill and 12th place in the large hill during his competition in 2016. While in the 2010 Olympics in Vancouver, he also failed to get a winning medal because he only finished at the 17th spot on the normal hill and 8th place on the large hill, which falls short from getting a medal for himself. During the year 2014 at the age of 41, he became the oldest athlete to ever receive a medal in the Winter Olympics in Sochi. It is recorded to be his seventh Olympics as a participant where he garnered silver medal, with his jump records at 139 meters and 133.5 meters, in the individual large hill. Furthermore, he had won bronze by placing third behind Austria and Germany in team large hill, where he was joined with Daiki Ito, Reruhi Shimizu, and Taku Takeuchi. In November of the same year, he also won the World Cup in Finland and shared the limelight with a fellow athlete from Switzerland, Simon Amman. Eventually, in that competition, he became the oldest cup medalist and will be his last win to date. His record-breaking wins are the World Cup is 17. In 2015, he received bronze on the FIS World Championship for the mixed team event, together with Sara Takanashi, Yuki Ito, and Taku Takeuchi. At the Nordic World Ski Championships, he also became the oldest athlete to receive a medal when it was held on February 2015. For the mixed team event category, he was able to get the bronze medal. To add to his record, it was his 12th time to participate in the said competition. To sum it all up, he has a total of 17 individual victories and 63 podium appearances throughout his career until 2017. He has 3 Olympic medals as follow: Silver in Team category in 1994, Silver and Bronze in Team category in 2014. As for the world cup, he was able to collect a total of seven medals: two bronze medals for the individual normal and large hill, two silvers and three bronzes for the team event. The Olympics in Pyeongchang is another set of record for the unstoppable ski jumper, Noriaki Kasai. It is believed to be his 8th time to appear as a participant in the Winter Olympics, all the way from 1992 to 2018. However, it was a bittersweet event for him since he failed to win a medal by placing 20th in the Men's individual normal hill event. After his unfortunate loss in the Pyeongchang Olympics, he is looking forward to the 2022 Olympics, where he will be almost 50 years old that is set to be held in Beijing. Even further than that, he is not crossing out the possibility of him joining the 2026 Olympics, which will be held in his home city of Sapporo Japan. On January 2016, he was awarded by the Guinness book of world records with the most number of appearances by an individual in the FIS Nordic World Ski Championships. It has been recorded that he competed 12 times from 1989 to 2015. In fact, he is regarded as the oldest medalist in the said competition when he won the bronze medal on February 2015. In the Nordic World Championship, he is said to be the oldest medalist for the team event at the age of 42. He also achieved the most appearances that counted as 13 through his entire career. While in the Olympics, he was also regarded as the oldest medalist at the age of 41 for both individual and team category. This athlete also has a total of 8 appearances in the Olympics in the span of his athletic career. Furthermore, for the Ski Flying World Championships, he was admired because he was the oldest athlete to join at the age of 45 both for the individual and team event and marking the most appearances at a total of 11 times. In addition to this, the world cup also has the longest hiatus in between his medal wins, for a period of 22 years he was not able to achieve any victory from this competition. Unbelievably, he did not only gained the admiration of his fans but also caught the attention of Poland, and a group of a Punk band. In fact, there is a song by the punk band dedicated for him as well as a rap song made in his honor. This man serves as an inspiration not only to his fellow athletes but also to the people all over the world. Ian Miller is a Canadian equestrian for show jumping who made his name in the Olympics by making the most appearances with 10 in total. As of today, he has the record for most appearances in all kinds of sports. His accomplishments include being a two-time winner for Show Jumping World Cup and he also bagged a Silver Medal from the Olympics. At the Summer Olympics in Beijing 2008, he led the Canadian Team, at the age of 61, against the United States team, where they eventually went home with the Silver medal on their necks. His last appearance was in London Olympics 2012. Another athlete, Hubert Raudaschl, who is an Austrian sailor made a record by making 9 appearances from the year 1964 to 1996 in the Olympics for Men's sailing. During the course of his athletic career, he was able to win 2 silver medals in the said sports. His first medal was in 1968 in Finn Sailing in New Mexico and his second medal was in Moscow in Star Sailing in Moscow. Tied with Raudaschl in the second spot, Afanasijs Kuzmins, is another athlete who appeared and competed in the Olympics 9 times. He is a Latvian rapid fire pistol shooter who was able to win 2 Olympic medals in his athletic journey. His first victory was during the 1988 Olympics in Seoul when he represented the Soviet Union. In this event, he was able to bag the gold medal. Then, aside from getting a gold medal, he was able to get a silver medal in the 1992 Summer Olympics in Barcelona when he represented the country of Latvia. At the age of 65, he participated in his 9th Summer Olympics where he placed 17th among all the other athletes.